This provocative book invites you to create your own spiritual path based on often-suppressed ancient principles and contemporary practices. 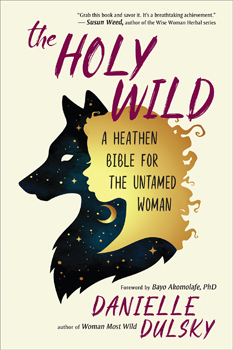 Using the elements (earth, water, fire, air, ether) rather than traditional patriarchal hierarchies, this "holy book" is designed to connect each individual to their universal - but often denied - powers. Wild woman Danielle Dulsky takes you deep as she explores and embraces sacred feminine archetypes such as the Mother Goddess, the Crone, and the Maiden. Join her as she guides you to envision and explore a world that enriches and supports your spirit, body, and mind as well as our global community and the Earth.